Discover the flavors of Sicily! Sicily: land of sun, sea ... and amazing food! Sicily's food and wine tradition knows no equals, and alone is worth a holiday on this wonderful island. At the Excelsior Palace Hotel, we're well aware of this heritage and go the extra mile to offer our guests a taste experience that is up to their expectations. 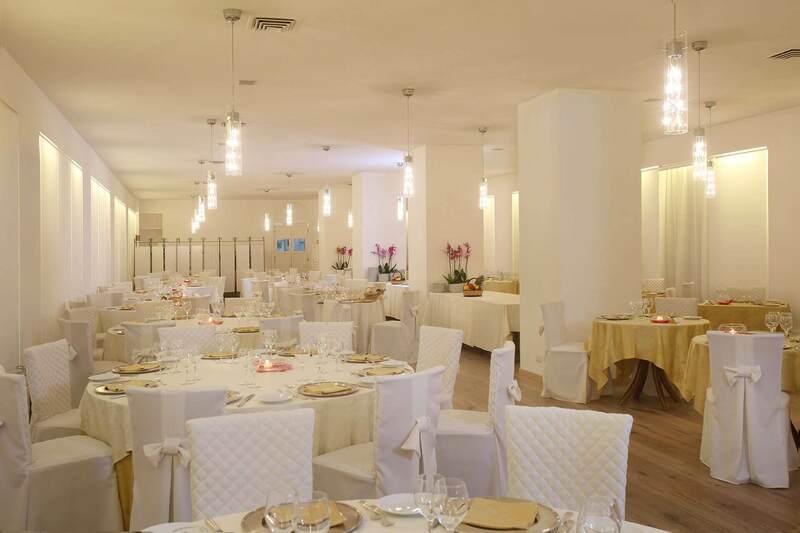 Our restaurant offers the very best in Sicilian specialties, wonderfully prepared by our kitchen staff with locally sourced ingredients, in compliance with the Science 4 Life protocol. 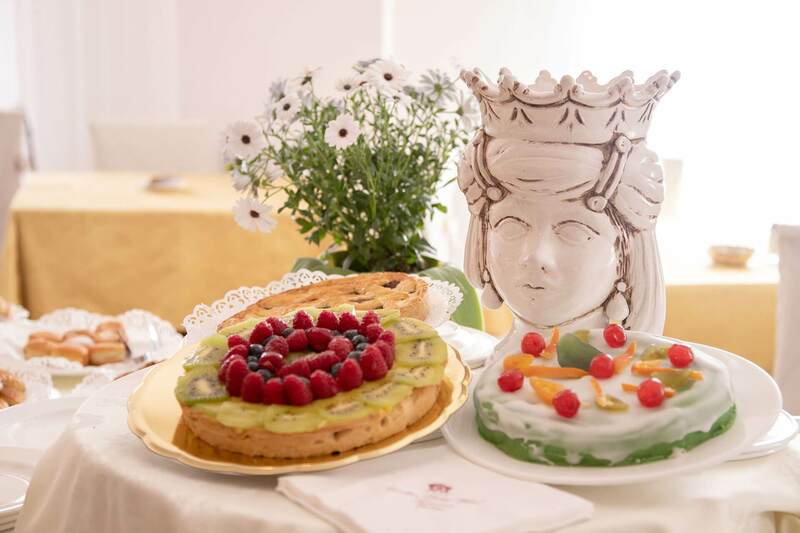 In addition to traditional local dishes, guests can also choose from an abundant international cuisine menu, a proper wine list comprising local Etna wineries as well as Sicilian and Italian wines , and a variety of homemade desserts concocted by our masterful pastry chef. There's nothing better than a varied and tasty breakfast to help you start the day on the right foot! 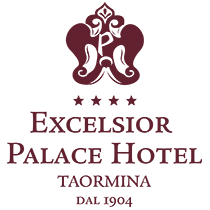 At the Excelsior Palace Hotel, you'll be spoiled for choice, with typical sweet and savory delicacies, homemade sweets and the awesome classic granita with cream and brioche. 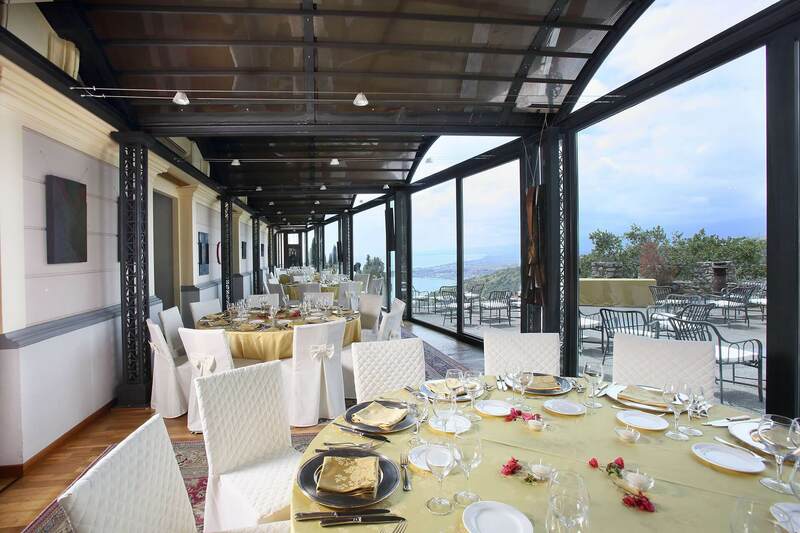 With an elegant 140-seat dining room, panoramic veranda and picturesque spaces available in the park and next to the beautiful swimming pool, the Excelsior Palace Hotel restaurant is the perfect venue for receptions, weddings, graduation parties and business dinners in Taormina.